This quality standard, known primarily within Europe, currently defines the highest level of textile sustainability by applying the maximum currently achievable parameters to production and product. Since 2000, BEST incor­po­rates the guide­lines for sustainable textiles on the basis of defini­tions of ecology and social accoun­ta­bi­lity formu­lated by Inter­na­tio­nalen Verband der Natur­tex­til­wirt­schaft e. V. (IVN), applied to the entire textile produc­tion chain. Because this repres­ents the highest currently achiev­able level of produc­tion, it is logical that only a limited number of products can meet them. For a copy of these guide­lines in PDF please click here. A business wanting to produce on a sustainable basis must first define an indivi­dual plan of action. BEST guide­lines require that businesses formu­late an environ­mental policy. This document, which must be submitted to the certi­fi­ca­tion entity, includes provi­sions to minimize and monitor waste produc­tion and environ­mental impact as well as contin­gency plans for waste or other pollu­tion, documen­ta­tion of personnel training on the subjects of optimised water and energy inputs, the correct and optimal use of chemi­cals and their appro­priate disposal, as well as programs to improve opera­ting proce­dures on these issues. Really natural begins at the beginning. The basis for every textile is the fibre from which it is produced. This is why fibre is the parti­cular focus of the BEST quality seal which requires that a textile surface (in other words the actual weave or knitting without notions such as zippers, ribbing, inlays, lining, buttons etc) consist of 100% natural fibre origi­na­ting either in certi­fied organic farming (kbA) or certi­fied organic animal husbandry (kbT). Synthetic fibres such as elastic, poly-acrylics or rayon may only be permitted for some ingre­dients and access­ories. Synthetic fibres have distinct advan­tages, for example in impro­ving the elasti­city of under­wear and hose/socks. From an ecolo­gical perspec­tive, however, they are unaccep­table as they can be produced only through the use of inordi­nate amounts of energy and on the basis of non-renewable resources. Even produ­cing natural fibres can be environ­ment­ally damaging. Cotton, for example, requires an inordi­nate use of pesti­cides and water, resul­ting in substan­tial environ­mental damage. This is true prima­rily for conven­tional fibre culti­va­tion. Certi­fied organic fibres do not use synthetic ferti­li­zers or crop protec­tion. 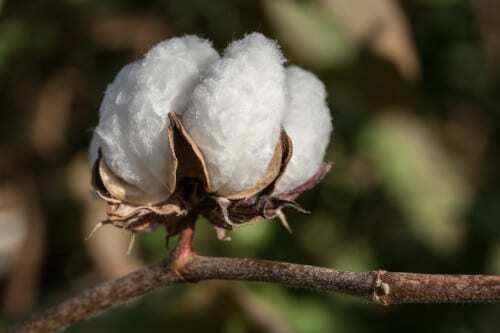 Nor are the highly toxic defolia­tion chemi­cals often used in cotton culti­va­tion allowed. Organic cotton is hand-picked. The produc­tion of animal fibres such as wool or silk must also meet high standards: no synthetic pesti­cide baths for sheep, species appro­priate animal husbandry and organic feed. But produ­cing fibre is only the first step in the many and myriad processes involved in a finished garment. These include for example spinning, dying, weaving, knitting finis­hing, cutting and sewing. Conven­tional produc­tion can involve dange­rous substances in all processes. For BEST certi­fied textiles, they are strictly forbidden or extre­mely restricted. The EU direc­tive 67/548/ lists a substan­tial number of indivi­dual hazar­dous substances, speci­fying a legal classi­fi­ca­tion and designa­tion for each. These are the so-called „R-clauses“, or Risk-Clauses. BEST catego­ri­cally forbids the use of any substances listed as carci­no­genic, damaging to genetic makeup, substances that impair ferti­lity or endanger unborn life. Parti­cu­larly dange­rous substances are also indivi­dually listed as forbidden or as severely restricted. These include, for example, under the heading Perma­nent AOX, a number of organic compounds using chrome, bromide, chlorine or fluoride that are not easily bio-degrad­able. They tend to accumu­late in the human body, for example in blood, fatty tissue or mother’s milk, and can be carci­no­genic. They are found in dyestuffs, teflon or finis­hings that render textiles water- or flame-proof. Fluoro­car­bons are an organic fluoride compound within this group. Halogenic and aromatic solvents are also classi­fied as hazar­dous to health and are suspected of being carci­no­genic. As they are highly volatile, workers tend to inhale them. Indus­trial stain removers and printer pastes contain these solvents. Chloro­phe­n­oles such as TCP or PCP are solvents or conser­ving agents that are also carci­no­genic and hazar­dous to health. Forbidden complexing and washing agents include APEO that negatively impacts hormone levels and is toxic for fish. EDTA and DTPA are both extre­mely diffi­cult to biode­grade. Formalde­hyde can provoke aller­gies and is classi­fied as provo­king gene mutation and impai­ring repro­duc­tion. It is used as a conser­ving agent, is included in finis­hings such as drip-dry and wrinkle-free or is a compo­nent of printing pastes. So-called quaternary ammonium compounds are toxic for fish and conven­tio­nally used in softening agents or are used to improved colour-fastness in reactive dyes. Heavy metal compon­ents are also unaccep­table with the excep­tion of iron and copper used in concen­tra­tions up to 5% for blue, green and turquoise dyes. Geneti­cally modified organisms (GMOs), often contained in indus­trial starches and enzymes, are of course absolutely taboo. The next step in the textile produc­tion chain is proces­sing fibres to yarns, ie spinning. Before fibres can be spun, they must be cleaned or freed of dirt parti­cles. This is done by washing. The remai­ning impuri­ties are removed either chemi­cally or with a treat­ment with sulphuric acid (carbo­ni­sa­tion). A more environ­ment­ally respec­tful method is mecha­nical: combing the yarn. During spinning and plying, lubri­cants (oiling) or plying oils are added which can later conta­mi­nate waste water and exhaust air. BEST allows only paraffin, paraffin oils or substances derived from natural raw materials and only if absolutely necessary. Finished yarns can be speci­ally treated, for example dyed or bleached, or they are processed into textile surfaces, ie fabric. This is done through weaving, knitting or creating fleece or fibrous webs. To improve the proces­sing of threads while weaving or knitting, a variety of so-called lubri­cants are used. These include brigh­tening and spooling agents, wefting oils, plying oils, knitting oils or smoot­hing agents. The latter, especi­ally polyvin­yal­cohol (PVA) is a major factor in COD (chemical oxygen demand) pollu­tion in waste water. PVA cannot be removed in many waste­water treat­ment plants. Smoot­hing agents allowed under BEST are starches, starch deriva­tives and other natural substances and CMC (carboxy­me­thyl­cel­lu­lose) Polyvinyl alcohol (PVA) is only allowed up to a level of <25% of total smoot­hing agent and only in combi­na­tion with natural substances. Oils used in knitting, jersey produc­tion or weaving may not contain heavy metals. Other additives are only allowed if they are natural raw materials. Substances such as mineral oils, polyol-ester, silicone and emulsi­fiers used as additives, antistatic agents and surfac­tants are not allowed. 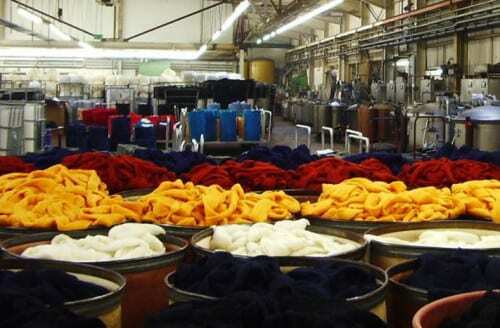 Only mecha­nical processes are allowed to produce fleece such as compac­ting, felting and needle-punch. Having arrived at a finished textile surface, the fabric is prepared for further proces­sing. This includes a number of processes fraught with environ­ment­ally detri­mental possi­bi­li­ties banned for BEST. The next step is scouring which removes the previously applied smoot­hing agents. This is necessary to allow subse­quently applied agents to react with or penetrate the fabric. For BEST, only enzymatic substances can be used for this step; acids and per-sulfates are forbidden. Fabrics are often bleached prior to dying to attain a better colour result. For BEST, this can only be done with oxygen, under no circum­s­tances with chlorine, hydrogen peroxide, caustic soda or surfac­tants. Another frequently used treat­ment is merce­ri­za­tion, a finis­hing process used for cotton. In merce­ri­za­tion, cotton is placed under tension in a bath of highly concen­trated caustic soda. The chemical reaction makes the cotton more amenable to dyes, gives it a silky sheen and a higher tensile strength. This treat­ment is not allowed for BEST. BEST focuses on waste water too. Water-based finis­hing plants must measure sedimen­ta­tion, tempe­ra­ture and PH values. Tempe­ra­ture, copper content and chemical oxygen demand (COD) must be conti­nu­ally monitored and meet prede­fined limits. The next step on the way to the finished garment is usually dying or printing. Both natural and synthetic dyes and helping agents are allowed. However, it must be assured that these meet BEST guide­lines. This means they may not contain banned substances. This includes a total ban on heavy metals (with the excep­tion of iron) and AZO-dyes which release amines. Only printing processes based on water or natural oils are allowed, not those invol­ving chemical etching or aromatic solvents. 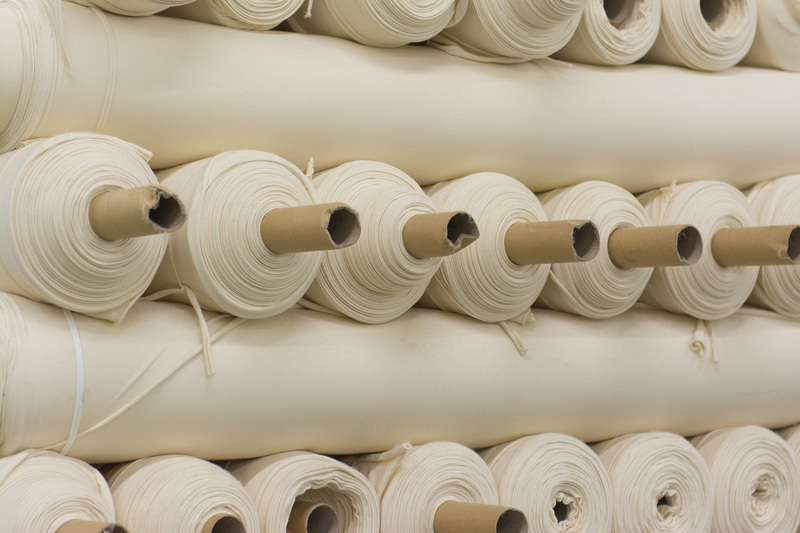 Finis­hing is another compli­cated proces­sing step within the textile produc­tion chain. All treat­ments which change the appearance, the wearing proper­ties or cleaning parame­ters of a garment are subsumed under this process. By limiting the substances which can be used for BEST, a number of conven­tional treat­ments are elimi­nated. Others are replaced by mecha­nical, thermic or other physical treat­ments. Only natural helping agents and GMO-free enzymes can be used for these processes. Flame retar­ding agents are tolerated as an excep­tion only for products designed for specific countries where this attri­bute is legally mandated. The final step in the textile chain is manufac­tu­ring, where fabrics are sewn into textiles and garments. Synthetic PES sewing thread is allowed to assure that seams are sturdier in the interest of increased longe­vity. However, these threads must be covered with cotton. Embroi­dery threads, however, can only be made of natural fibres. Appli­ca­tions, linings, pockets, inter­fa­cing, seam binding, ribbons, cords, labels or lace must be pure natural fibres. For shoulder pads, elastic straps or threads and finis­hing lace, a blend of synthetic materials is allowed to maintain elasti­city. Here too, increa­sing longe­vity is recognized as an important attri­bute. Buttons and snaps may only be of natural materials or metal. Zippers must be strong, there­fore they may be either of natural or synthetic material as long as they do not contain PVC. The metal used for buttons, zippers and buckles must be free of nickel and chrome. As a final parameter, packa­ging and shipping are assessed. Products must be wareh­oused and shipped in a way to avoid conta­mi­na­tion through conven­tional products or non-allowed substances and to prevent confu­sion with conven­tional goods. In workshops produ­cing both ecolo­gical and conven­tional products, there must be separate wareh­ousing and clear label­ling of ecolo­gical fabrics. Packa­ging materials may not contain PVC. All trans­por­ta­tion vehicles and routes must be documented. A prime concern for consu­mers is that no health hazard origi­nate from textile products. To that end, BEST requires that certi­fied textiles undergo a labora­tory exami­na­tion of chemical residues in the finished product. Tests include whether critical substances can be released onto the wearer’s skin through friction (rubbing) or sweat. The parame­ters for these tests are signi­fi­cantly stricter than those mandated by law. They provide additional assurance for consu­mers. lly important as health aspects is the quality of the garment. The BEST standard defines quality parame­ters that must be met by the finished garment: colour fastness to rubbing, colour fastness to sweat, colour fastness to light, shrinkage, fastness to washing and, of prime impor­t­ance for baby’s garments, fastness to saliva. When we in Europe buy cheap clothing, the workers involved in their produc­tion pay the price diffe­rence. Lack of workplace security, below subsis­tence wages, mistre­at­ment, child labor – these are only a few examples of the onerous situa­tions faced every day by many textile workers in supplier countries. All produ­cers are obligated by the BEST standard to maintain prede­fined social standards which are assessed locally in the manufac­tu­ring facili­ties. These standards are based on parame­ters formu­lated by the Inter­na­tional Labour Organi­sa­tion (ILO): no forced or slave labor, freedom of assembly, the right to negotiate wages, safe and clean work stations, no child labor, decent wages that cover the cost of living, no exces­sive overtime, no discri­mi­na­tion, a regular work contract, no rude or inhumane treat­ment.